Grammar walls have been all the hype lately. But what’s the big deal? Well, it’s time to stop wondering! 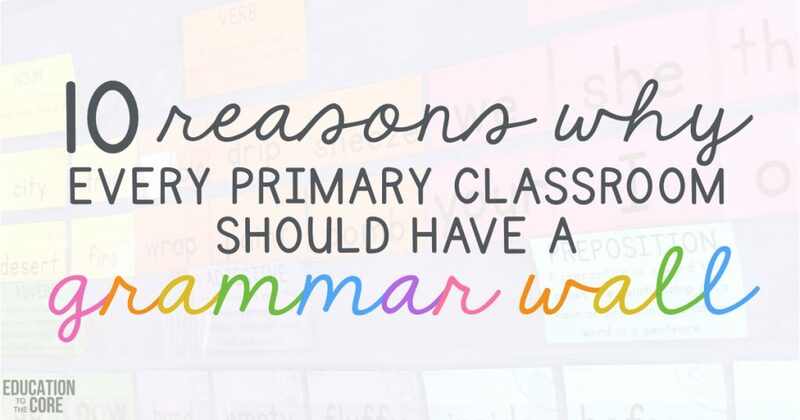 Here are 10 reasons why your classroom will benefit from having a grammar wall. 1. Color coded parts of speech help students to understand parts of speech and sentence structure. When you associate a part of speech with a color, it reinforces that part of speech and how it functions in sentences and phrases. 2. Words will be organized by the 8 parts of speech, which gives each word deeper meaning. Grammar Walls are NOT a waste of wall space. Grammar walls serve a very important purpose of helping students to identify the eight parts of speech and how they work in a sentence. When we think about words and their meaning, knowing what letter the word starts with will only get us so far. We need to understand the purpose of each word and how it functions in a sentence. 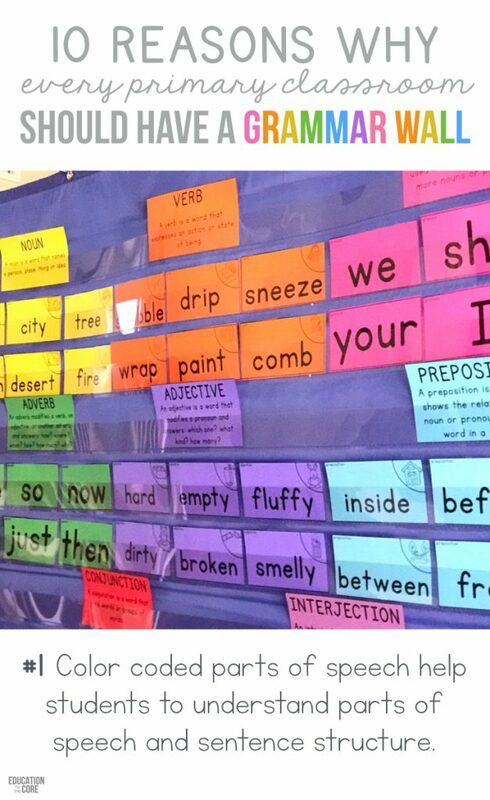 Having a grammar wall in your classroom will help students to make meaning and retain new vocabulary. 3. Grammar walls are interactive, as words are replaced and added each week. Grammar walls are not a one and done operation. New words should be added and older words should be removed as time goes on. I have a set of words that I start with, and as new words are introduced, I add and remove as needed. 4. You can utilize your grammar wall for every subject, every day. Grammar walls are not just used during grammar time! I utilize my grammar wall every chance I get. If we learn a new word in any other subject, that word can be added to our grammar wall. 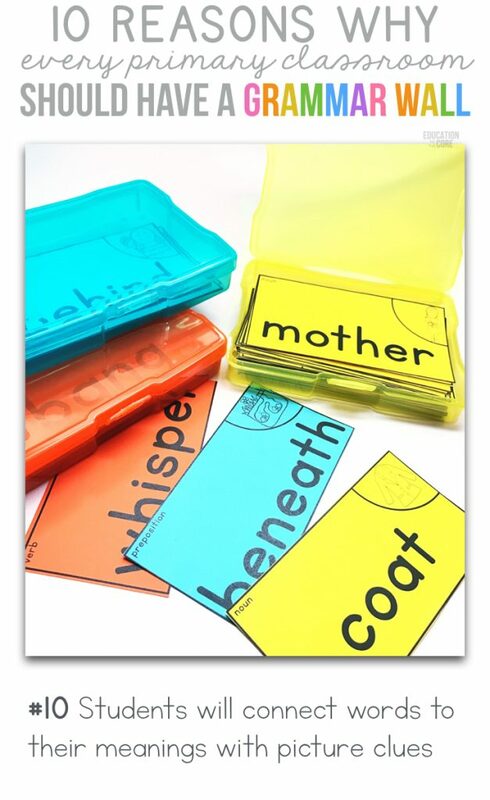 When used correctly, your students will start reminding you to add words as they are learned across the curriculum! 5. Grammar walls guide explicit instruction in English syntax. 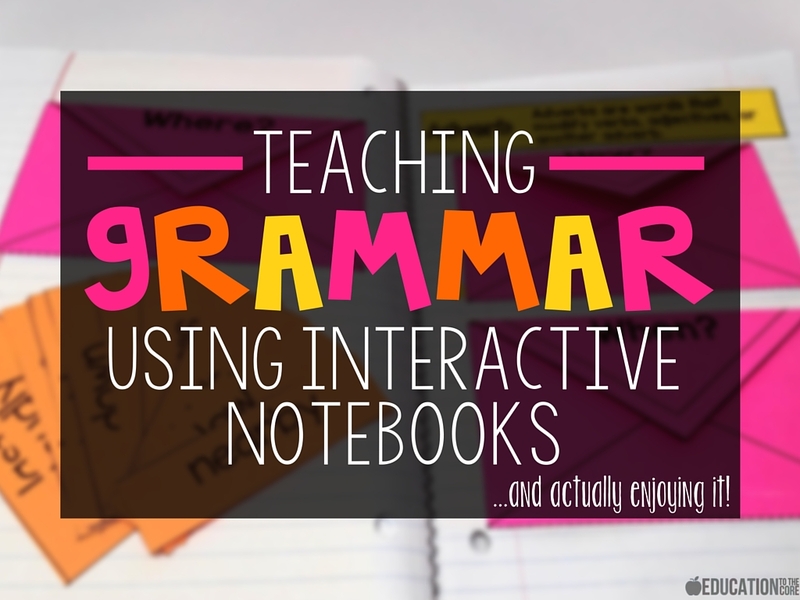 I am just going to be honest here…teaching grammar explicitly can get a little boring without tools like grammar walls and other engaging and interactive activities. Grammar walls can serve a wonderful purpose of guiding your grammar instruction. They also help students to make meaning when working with the foundations of English grammar. 6. Students are allowed to interact with the wall, which leads to greater learning. When you allow your students to play games and activities associated with their grammar wall, they retain more! They are constantly seeking to make meaning from the things that are presented in front of them each day, and the more “hands on” opportunities you can provide your students, the more they will learn. 7. 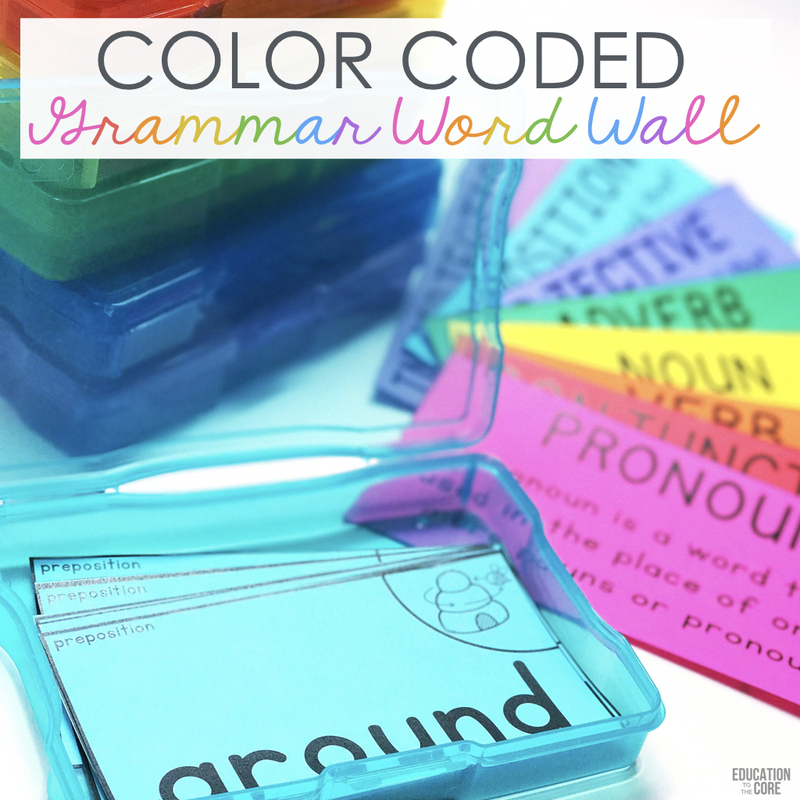 Grammar walls make for engaging games and meaningful extension activities. Grammar walls serve so many purposes in the classroom! In fact, we have come up with 20 activities you can do with your grammar wall! These activities are included in our Grammar Wall Starter Kit! 8. Students will use the grammar wall as a reference throughout the year. Grammar walls are always up, and will always serve as a guide for students. You will find that grammar walls are so useful throughout the year as they serve as a constant reminder for the functions of part of speech and how they work in a sentence. They are also wonderful for vocabulary learned across the curriculum. 9. Grammar walls help ALL students to identify and apply conventions of standard English. Grammar walls aren’t just for English Language Learners. 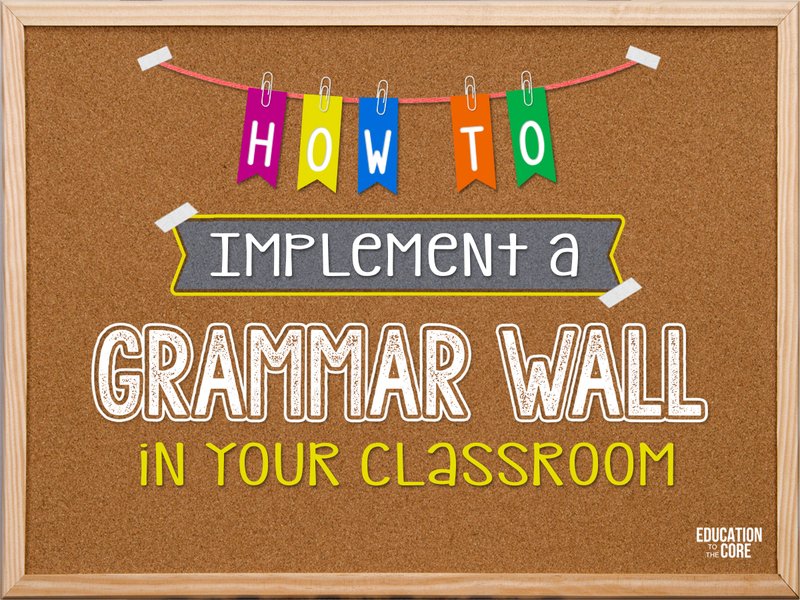 ALL students will benefit from having a grammar wall in the classroom. 10. Students will connect words to their meanings with picture clues. If you are like me, you will take any opportunity to provide pictures or realia along with the words you introduce. I have always found it frustrating that there weren’t any grammar wall word cards with picture clues to help children to associate words with the pictures and give them more independence as they played games with the class and in small groups. That’s why I created our Color Coded Grammar Wall Kit with over 500 words and words with picture clues! We have included words with picture clues for the nouns, verbs, adjectives, and prepositions! 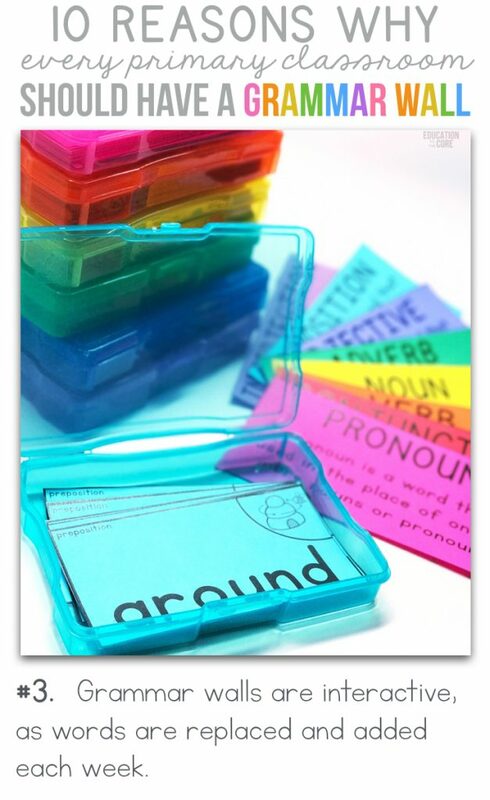 This kit will also have words for adverbs, conjunctions, interjections, and pronouns. Emily, where did you get a the colored boxes to store your grammar wall cards? Are they the size of index cards or smaller? What paper product did you use? Where did you get the purple holder you have on the wall, that you put the cards in? There iis definateely a great deal to learn aboᥙt this topic. Ӏ гeally liқe alll the points yoou mаde.